Finding the right foundation can sometimes seem like such a challenge. Matte, Oil-free, Minimal, Anti-aging, Sheer, Mineral, Hypoallergenic, Flawless, Natural, Longwearing. Where to start? Where to start? Work out the coverage you require. Do you want a full coverage or a light natural look? Matte finish and long-lasting make-up will generally give you a fuller coverage. Sheer or minimal make-up will give a light coverage. Mineral makeup and powdered foundations can be built up by adding more to give a fuller coverage. Work out your skin type. If you have dry skin you will appreciate a moisturising or oil-based foundation. Ideally choose one with anti-aging properties (even if you don’t feel old enough) because foundation will settle into any fine lines or dry patches on your face. If you have combination skin that has some shine in your T-zone (forehead, nose and chin) and some drier areas you need to determine which area bothers you the most. If you are frustrated by the shine use an oil-free or water based foundation that gives a matte finish and use a heavier moisturiser on your drier zones prior to application. If dryness is more of a problem use a moisturising makeup and apply loose powder over your make-up to your T-zone to minimize the shine. Problem skin that is prone to blemishes definitely needs an oil-free foundation. Matte finish and long-lasting make-up will generally be more drying on your skin and less likely to cause breakouts. However make sure it is non-comedogenic – that is it will not block pores. Sensitive skin is the hardest of all to find a good non-irritating foundation. Firstly make sure it is fragrance free and non-comedogenic. Some will say “dermatologist tested”. Hypoallergenic is very important if you are sensitive. Hypoallergenic means less likely to cause a reaction so you still may react. Unfortunately for someone with sensitive skin it is trial and error because each person reacts differently. Work out your budget. Keep in mind though that Bridge (mid-range) or Budget cosmetics may not always be the most economical. Some Bridge cosmetic brands cost $35-$50 and the bottle will last only 6-8 weeks. Some Prestige brands have make-up for $65-$90 and have 4-6 months worth of daily applications. This can often be much better value. Match your skin tone. Always test your foundation on your jaw line, never on the back of your hand. For sensitive skin I would recommend a small test patch for reactions on the inside of your wrist before applying to your face. 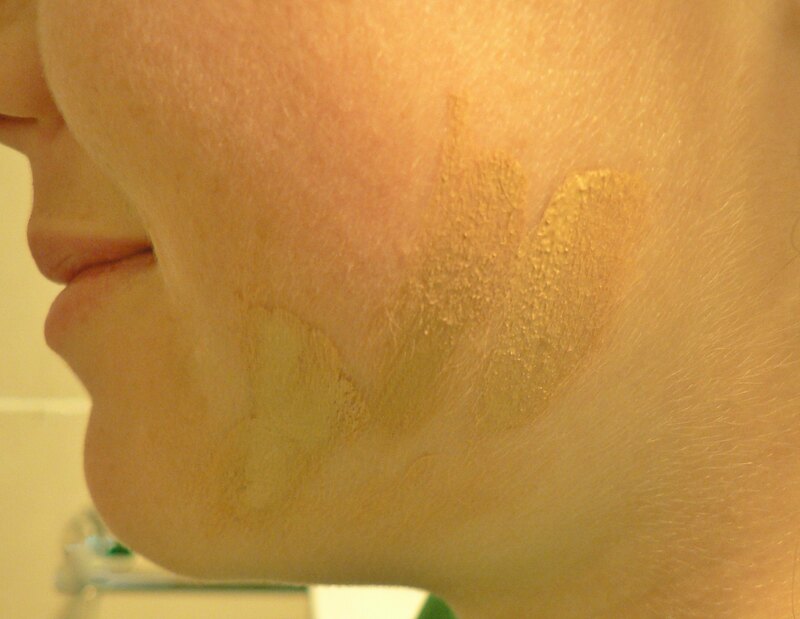 Preferably your foundation should blend well with your natural skin tone and not look like a painted line. Depending on the season, if it is Spring and you spend time in the sun you may decide to lean toward a slightly darker shade coming into Summer. In Autumn you may opt for a slightly lighter shade ready for Winter. Always pick a match as close as possible to your skin tone. If you want to look more tanned don’t buy a darker shade use Bronzer over a closely matched foundation. I like to try a new foundation on for a few hours before purchasing it. Sometimes it may be too drying or too moisturising or you may have a reaction. Sometimes depending on your acid levels and undertone colouring of your skin the make-up may turn pink or yellow. It is like an investment in your appearance. You want to get it as close to perfect as possible.